Life lessons keep pouring in from the drama-filled scenarios on Sunlight’s highly entertaining Yoruba-language radio series, Alarambara. You really don’t have a choice, honestly. One simply soaks up with a wide-open mouth, the countless OMG and ROTFL moments in each 5-minute episode, from the antics and mistakes of money-hungry Iya Alaje and the queen troublemaker, Bisi, to the calm common sense of Mosun Filani’s character, Sisi Oge. A good example is episode 4, ‘Housekeeping’. Iyawo’s mismanagement of her household finances and Iya Alaje’s neglect of her conjugal and other allied duties, get them in hot water with their husbands, who are totally fed up with being patient and understanding. Iyawo’s husband reads her a list of the things she always gets wrong, while Iya Alaje is put under lock and key for the day, until she does all she has to do in the house. Ghenghen. The tough love pays off, though, as Iyawo finally realises what it really means to be a married woman. In episode 5, ‘Assistant Provider’, she runs to Sisi Oge for advice on how to shoulder some of her household’s financial weight. She finally decides to become a distributor of Sunlight 2-in-1 detergent. (No one saw that coming, by the way). Bisi is in her drama-making element again, in episode 6, as she falls into the “middle-aged trap” and gets carried away by attention from a younger man. Nothing has happened between them, yet, but she stands dangerously close to the edge of the cliff before she’s pulled back forcibly by her friends during an impromptu intervention. Iya Alaje boasts that she can never be caught in a web spun by a younger man, while Sisi Oge as always, says just the right thing. With episode 7 enters Mojisola, Sisi Oge’s niece, who shares her blood, but not a lot of her plain common sense. 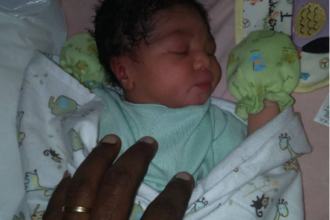 Fresh from NYSC, Moji is green with envy over her friend’s apparent good fortune. When the curtain is lifted on her friend’s marital life, to reveal a mix of expensive gifts and physical abuse, she realises that the grass only appears greener on the other side. 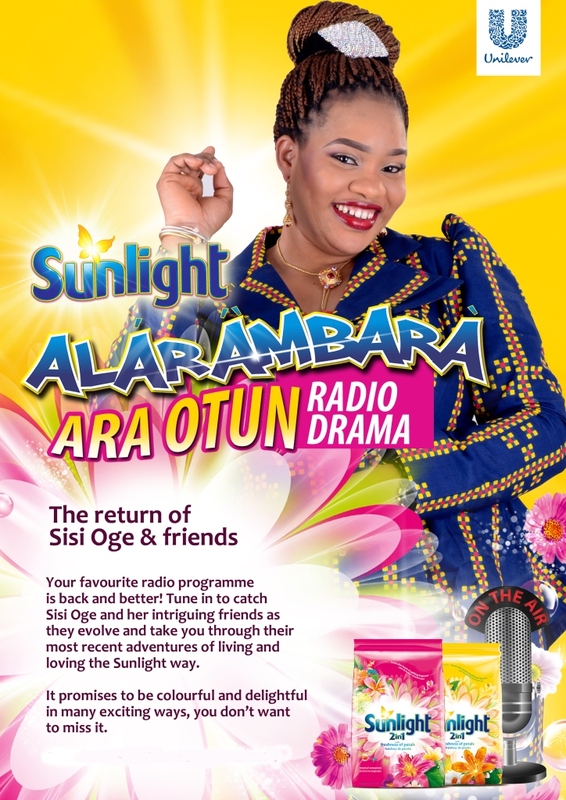 The drama continues on Sunlight’s Alarambara on selected radio stations in South West Nigeria. You can also listen online on www.facebook.com/SunlightNigeria. Let the Sunlight in and keep listening.